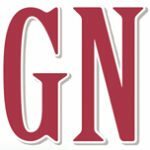 The Art Guild of Port Washington will offer Advanced Art Studio for high school students entering grades 10 to 12 at The Art Guild. This twice-a-week, six-week class will take place on Mondays and Thursdays from 6 to 8 p.m. beginning on July 11. The fee is $300. The course is designed to assist advanced drawing/painting/2-D design students entering their sophomore through senior years. The instructor will mentor and critique preassigned projects for Advanced Placement portfolio, college admissions, scholarships and student exhibitions, or can assign projects. Open studio time will be available for students to work with the aid of the instructor in order to learn or enhance a specific skill or technique. Classes will cover techniques and proper usage of various mediums, including colored pencils, pastels, oils and acrylics, color theory and composition. Practical knowledge, such as how to frame, mat and photograph work, will be covered as well as how to name and format digital files. Guest speakers will stop by to demonstrate various techniques and skills. Students will be asked to keep a sketchbook or journal, and create written artist statements that explore and defend their process and work. Students should bring a sketchbook; an 18″ x 24″ pad of drawing paper (not newsprint); 2B, 4B, 6B and 8B pencils; a kneaded eraser; and four to six samples of their work to the first class. 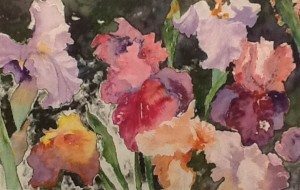 The Art Guild is also planning summer sessions of classes for children (ages 5 to 7 and 8 to 12) and for adults (Drawing and Painting with Barbara Silbert and more) as well as upcoming workshops, including Silkscreen Monotype with Stephanie Navon-Jacobson on July 9 to 10; The Untapped Power of Watercolor with award-winning watercolorist Antonio Masi on Aug. 5 to 7; and Alla Prima Oil Painting with Christine Lafuente on Oct. 22 to 23. Visit The Art Guild website and Facebook page throughout the year for information about exciting programs and events. The Art Guild is located at Elderfields Preserve, 200 Port Washington Blvd. in Manhasset. To register or for more information, visit www.theartguild.org, call 516-304-5797 or email info@theartguild.org. The Art Guild is a nonprofit organization.